During my trip to Southern California I managed to squeeze in some shopping at Sephora and Morphe. I knew that Sephora was due to have a sale around the beginning of November, so I’ve actually been adding stuff to my cart online for months as a “shopping list” for when the sale happened. 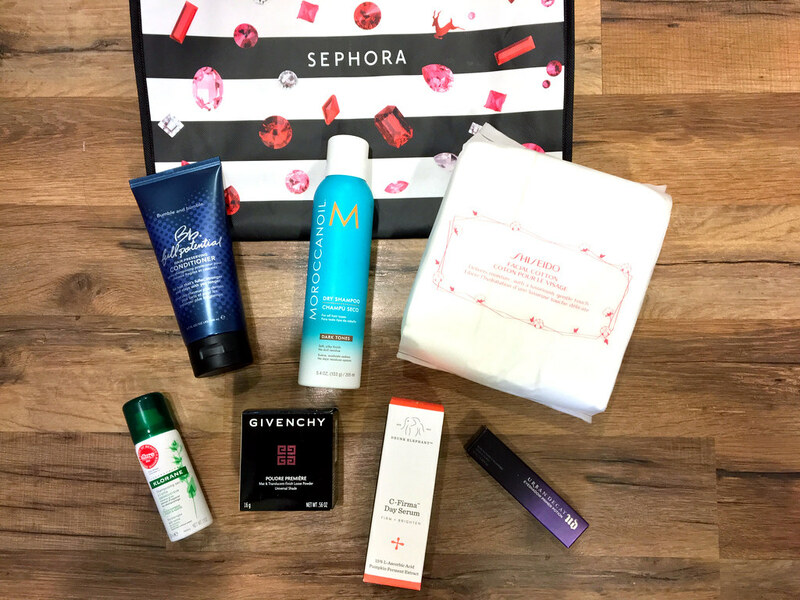 I was thrilled when I got my VIB Rouge Early Access sale info since the sale would be happening the weekend I’d be at Disneyland; this meant shopping at the Sephora at Downtown Disney and getting 20% off! As for Morphe, makeup artists on YouTube rave about the quality of Morphe Brushes, not to mention how affordable they are for the quality. 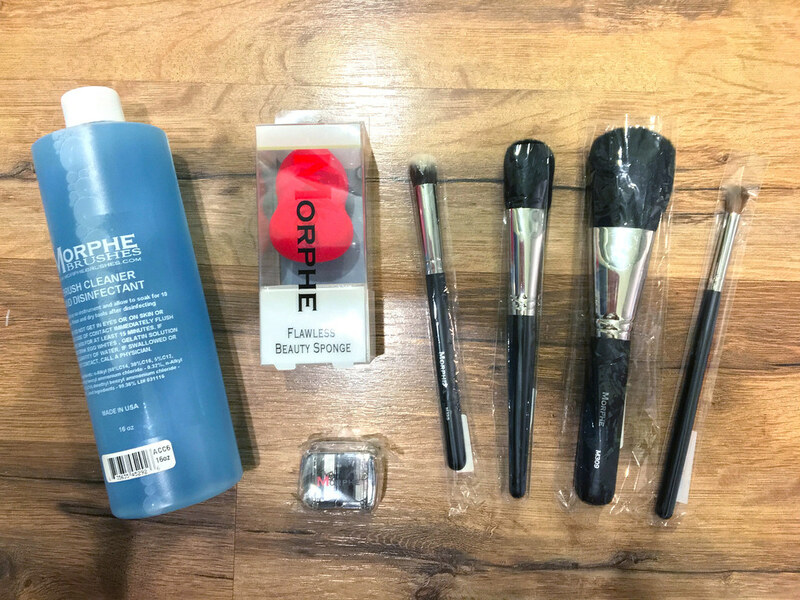 I’ve been disappointed with MAC brushes lately, so I wanted to check out the actual Morphe store and replace my MAC brushes. I already bought three brushes off their website and have been very impressed so far. Luckily their store was only 10 minutes away from Universal Studios, so after our day was done there we headed over to Morphe. Bumble and bumble Full Potential Hair Preserving Conditioner – The shampoo and the spray have been very good to my hair, so since I’m out of conditioner I decided to get this one. Moroccan Oil Dry Shampoo Dark Tones – I’ve always been a fan of the original Moroccan Oil, so I was stoked when I saw Sephora was now offering it in stores. Not only that but their product line has expanded a ton, so I’m curious to see how well their dry shampoo works. Shiseido Facial Cotton – YouTube makeup artists swear by these cotton pads, so I’m giving these a try to see what the big deal is all about. Klorane Dry Shampoo with Nettle Oil Control – I bought two travel size versions since they don’t care the full-size version in stores. This is one of my top favorite dry shampoos. It does such a good job that I can actually go two days without washing my hair, which is huge since I am oily AF! Givenchy Poudre Première Mat & Translucent-Finish Loose Powder – Picked this up at my local Sephora since the Downtown Disney one didn’t carry Givenchy. I’ve heard amazing things about this powder, so I decided to splurge on it because of the sale. Drunk Elephant C-Firma™ Day Serum – My second round of this serum. I’ve become a fan of the Drunk Elephant line this year, using not only this serum but their Glycolic Night Serum and the JuJu Bar. Urban Decay Eyeshadow Primer Potion – Original – My ride-or-die eyeshadow primer. Nothing works on my oily lids like this one does!